The complaint says the companies persuaded consumers they could relieve them of the burden of having to pay off thousands of dollars in credit card balances. The consumers were instructed to send the debt settlement companies money each month and the companies would eventually strike a deal the credit card companies would be happy to accept. Sounded good, but Florida Attorney General Pam Bondi says it was all a scam. She says that after making payments of hundreds, even thousands of dollars each month, the consumers found their debts had not been paid, their accounts were in default, and credit scores nearly annihilated. Bondi says some of the debt settlement customers were even forced into bankruptcy and some faced lawsuits. “Despite alleged promises, the victims of this scam ended up with little or nothing to show for their payments and were made worse off financially,” Bondi said. Among the charges outlined in the complaint, the defendant companies allegedly promised customers would get debt consolidation loans at attractive interest rates. It alleges they presented themselves as non-profit entities. They are even accused of calling other debt relief company customers, claiming they were taking over those firms and servicing the accounts. A court has issued a preliminary injunction against the individuals and companies, barring them from engaging in most debt settlement activity, or claiming to be a non-profit entity when they are not. Despite the commercials you hear on radio and TV about how easy it is to walk away from your credit card debt, paying a company to settle it for pennies on the dollar, it doesn't always work out the way you think it will. Bruce McClary, vice president for communications at the National Foundation for Credit Counseling, says there are different forms of debt relief and some work better than others. Using a non-profit credit counselor, he says, can help people repay all of what they owe in a more affordable way. "While some for-profit debt settlement companies promise quick relief by promising to eliminate a portion of the balance owed, that relief can come at a steep price when considering the fees and possible taxes associated with the settled portion of the debt," McClary told ConsumerAffairs. In many cases, a debt settlement company will tell you to stop paying your credit card bill each month, sending a payment instead to the debt settlement company. The company is supposed to escrow the money, so that when the debt is extremely overdue, it steps in on your behalf and offers the credit card company a lump sum payment to write off the debt. In theory, that's how it is supposed to work. But when your debt is unpaid, debt collectors will make every attempt to collect the money. They'll call you a lot. They'll also report your delinquency to all three credit bureaus, destroying your credit score. And, while it is possible they'll accept the debt settlement company's offer to settle, it is also possible they'll sue you. 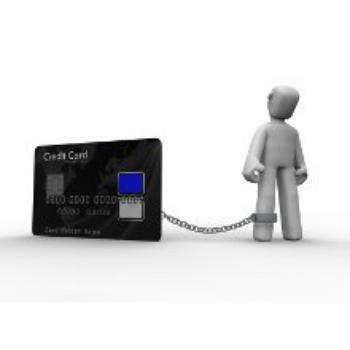 The FTC details the risks associated with debt settlement companies here. Learn more in the ConsumerAffairs Debt Settlement Buyers Guide.